The latest in the world of technology is the all-new operating system, BlackBerry 10, which is packed with features and functionalities beyond expectation, enabling communication more inclined towards the human side of any device. Research in Motion (RIM) has, for long, desired for its own OS for one of the most popular, sophisticated, stylish, and robust hand-held mobile devices of this time. 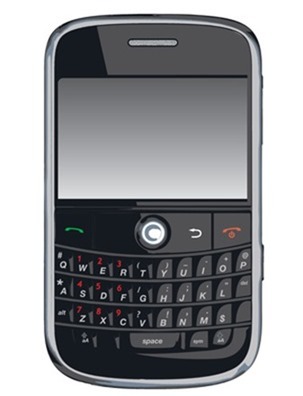 With BlackBerry OS series, RIM has not only bridged this void, but also has gradually developed this OS into one of the most user-friendly mobile operating systems. Let us peek into few most impeccable features of BlackBerry 10 that have added features to your favorite BlackBerry mobile phones. This is one of the most interesting human sides of this OS. Whether you are chatting, composing emails, or creating documents, the interactive keyboard makes the typing more easy, effortless, and less time consuming by suggesting you words, which are in your mind. Now you do not have to just type; rather, you can choose from a group of suggested words to complete your thought. Chatting and messaging has now become real-time with BlackBerry 10. You can communicate one-to-one or in group and can check as soon as your message is delivered. Sharing is not limited just to photos and videos; the Screen Share feature enables you to share the entire browser or any document open in your mobile – truly an ultimate BBM experience. Bring Your own Device (BYOD) to work has got its true meaning and essence with the enhanced options, such as Enterprise Mobile Computing and Enterprise Mobility Management. Now creating MS Word, Excel, and PowerPoint documents has become easier on a mobile platform. The intelligent BlackBerry Calendar helps you to organize and invite meetings and remind vital information of the contacts. Also, access management has been made easy like never before. Downloading apps, music & videos, magazines and books is now largely accessible. The new OS can suggest you based on your recent purchases, so that you can take more informed decisions and always find new things in the store. The new OS has included the BlackBerry Protect features that ensure only protection of your valuable content, but also your device in the case of loss. You can lock your Smartphone to restrict unauthorized access. BlackBerry 10 OS includes features – BlackBerry Link, a feature that can easily synchronize your device with your computer for transferring content. Interesting point to be noted is that BlackBerry Link is now available both for PC and for Mac platforms. With so many great features in the new BlackBerry 10, your mobile experience is certainly going to touch another leap. Get the best out of your BlackBerry with BlackBerry 10 OS.